Twiistup took place last night (May 9, 2007) at Zanzibar in Santa Monica, California to bring together some of the Southern California technology community. 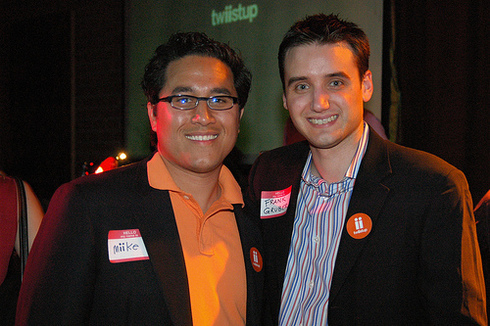 Twiistup, previously highlighted on Somewhat Frank, was founded by Mike Macadaan with the help of Ryan Buckholtz. Twiistup attracted a large turnout which filled the bar with loads of Southern California based technology and design enthusiasts. In addition, pulled together a number great giveaways, swag and even some sushi. DJ Anthony Valadez mixed psychedelic beats all evening and the bar offered a drink special on a drink called the Twiistup which was orange and tasted like Tang with a kick. 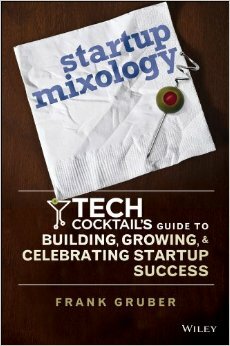 Twiistup was a very good first event for the area which is often overshadowed by glitz of Hollywood. Congrats to Mike, Stephanie and Ryan for bringing the community together for an evening of tech related entertainment. Here are some photos from Twiistup. Photo Attribution: Thanks to Mike Macadaan via Flickr.